BIERNBAUM & MEYER, LLP is a law firm with over eight decades of combined legal experience providing its clients with personalized service and care in all areas of civil practice. As law firms combine and increase in size, BIERNBAUM & MEYER, LLP still embraces the small firm practice that it started more than 43 years ago with expertise in multiple areas. 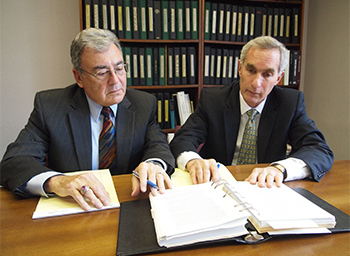 Regardless of the import and size of the case, long term relationships with clients, personalized service, and catering to the individual needs and goals of each client are the bedrock of BIERNBAUM & MEYER, LLP. BIERNBAUM & MEYER, LLP is an experienced legal team committed to personalized service and attention, with strong and effective representation of its clients. Contact BIERNBAUM & MEYER, LLP for any of your legal needs. We are only a phone call away.